Emotions ran high with barely a ‘dry eye in the house’ at the start of the Golden Globe Race in Les Sables d’Olonne, France on 1 July, writes Sue Pelling. 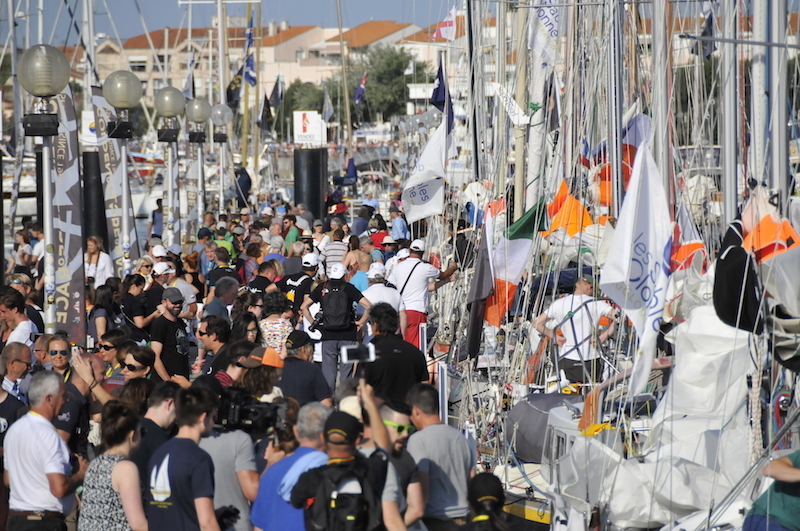 After three years of preparation for this 30,000nm, non-stop round the world race, 17 of the 18 contestants from 13 different countries bid their final farewells to their loved ones in an emotional send off under the watchful eye of 35,000 visitors. 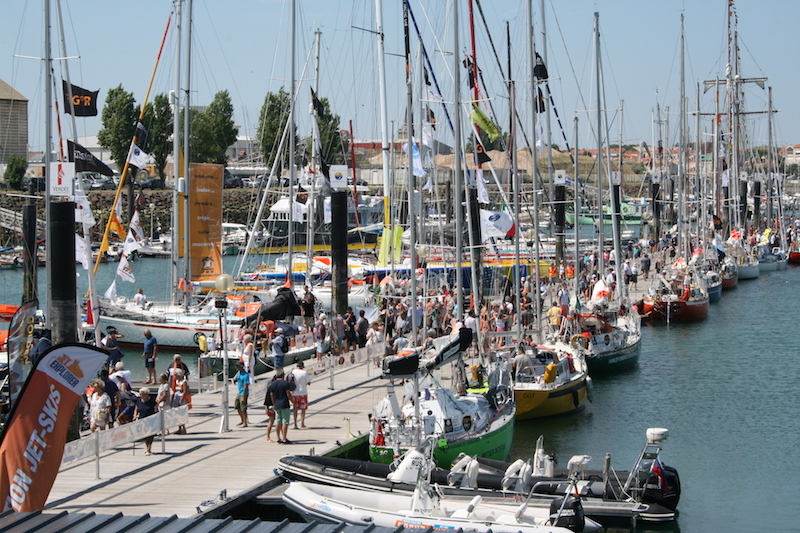 As the skippers cast off and motored down the famous Vendée Globe, spectator-lined Canal in scorching hot sun, and a flicker of wind that struggled to reach 6kts, hoards of spectator vessels joined the exodus out to the start area including a group of historic solo yachts – Bernard Moitessier’s Joshua and Sir Francis Chichester’s Gipsy Moth IV, together with Eric Tabarly’s Pen Duick III and Pen Duick VI. 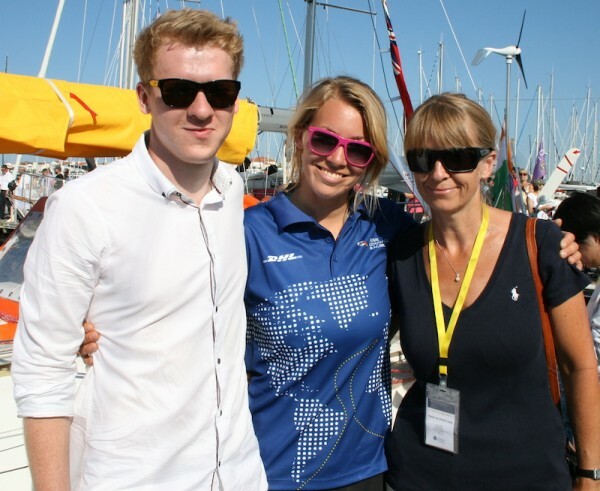 Having enjoyed all the razzmatazz of the final few weeks in the run up to the start, including the feeder race from Falmouth to the host start port of Port Olona, it was, as Susie Goodall told Classic Boat, “time to go.” Goodall (28) aboard her 1995-built Rustler 36 DHL Starlight was clearly sad, yet relieved to be finally underway and was looking forward to settling into a rhythm on the first night at sea. 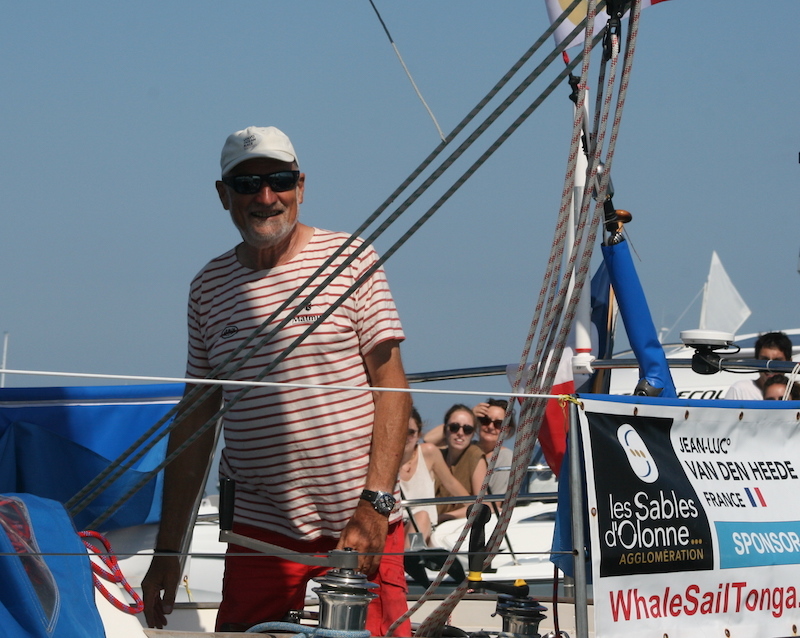 The midday start, signaled by a cannon fired from Sir Robin Knox-Johnston’s Suhaili, saw the seasoned racers take advantage of the fickle wind. 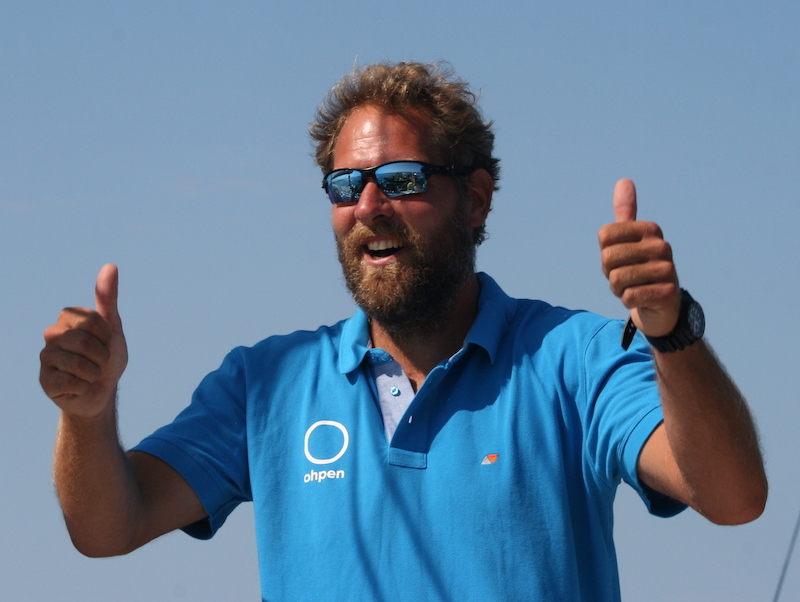 Frenchman Philippe Péché aboard his Rustler 36 PRB sporting a huge lightweight genoa, was first to emerge from the pack followed by 73-year-old Jean-Luc Van Den Heede – the oldest skipper in the race – aboard Matmut. 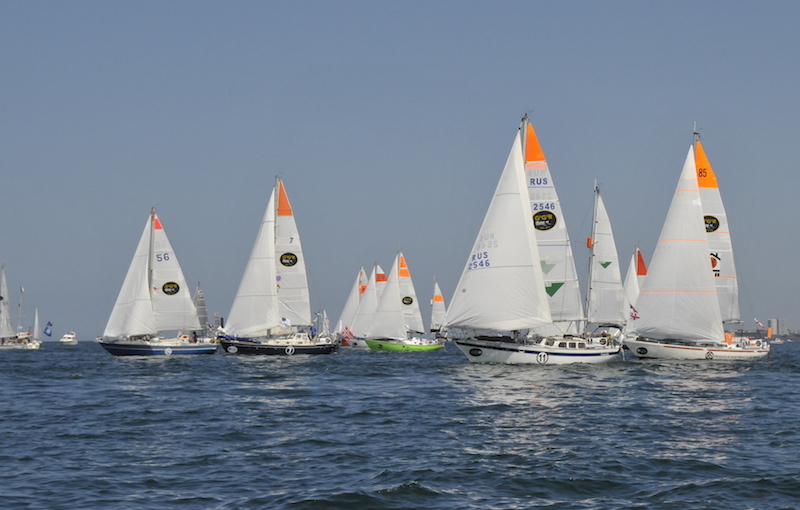 Others in the top rank were Finnish sailor Tapio Lehtinen, Dutch sailor Mark Slats and Russia’s Igor Zaretskiy, although with a race that is expected to take between 9-10 months – estimate 240-250 days for the leaders – it is far too early to make worthy form predictions. 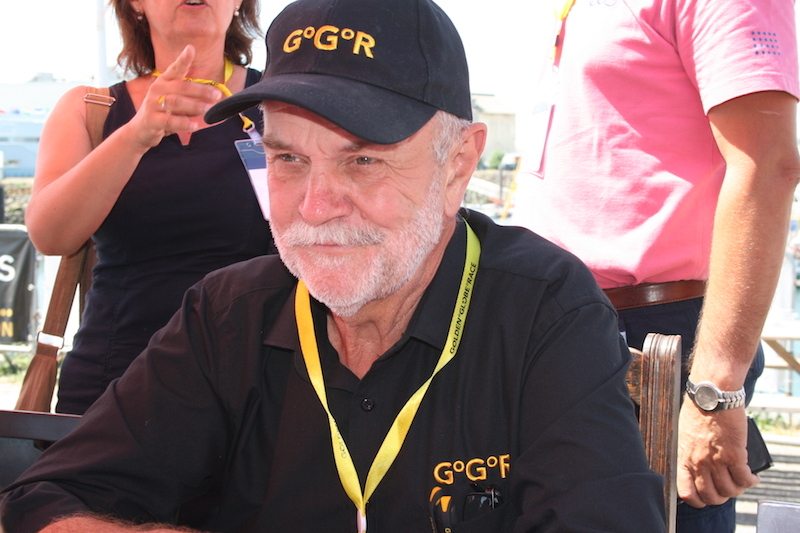 In his summing up of this unique event just before the fleet set sail, Don McIntyre, Chairman of the Golden Globe Race, commented: “My passion is to support adventure and my aim to make the race affordable to anyone, keep it simple, and always put the wishes of the entrants first.” With six skippers having already lodged interest in the 2022 Golden Globe, including McIntyre himself, who will race a new Joshua class boat, the future looks exceptionally bright for the Golden Globe’s new era.